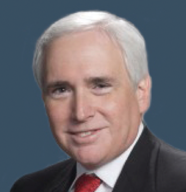 Michael Truncale serves as a trial lawyer in state courts throughout Texas and in the federal courts in the Eastern, Southern, and Northern Districts of Texas. Michael successfully defended Texaco Pipeline Company in litigation relating to the 1994 fires and floods on the San Jacinto River that created the largest inland petroleum spill in United States history. The National Law Journal recognized this case as one of the top ten defense verdicts of 1997. In addition to trial work, he has handled a number of significant appellate matters. In his ADR practice, Michael received a Diploma in International Arbitration from the Chartered Institute of Arbitration (CIArb), and he was made a Fellow in the CIArb. . He serves on the Advisory Board for the Institute of Transnational Arbitration of The Center for American and International Law. In addition to his work as an arbitrator, Michael is also a certified mediator in the Eastern District of Texas and in all Texas state courts, where he has mediated over 2,000 cases since 1992. Michael has lectured in England and across the United States on effective trial techniques, case evaluation and successful mediation strategies. He gave a lecture on the American court system and litigation procedures at the China-U.S. Judicial Cooperation Summit in Beijing sponsored by the China Collaborative Innovation Center of Judicial Civilization. He also presented a lecture on environmental law at the U.S.-China Food Safety and Environmental Protection Judicial Symposium sponsored by the Jiangsu Provincial Higher People’s Court and the Changzhou Intermediate People’s Court. He participated in the first mock patent jury trial in the history of China at China University of Political Science and Law in Beijing, China. Since 2004 he has served as a contributing author of the State Bar of Texas on Pattern Jury Charges – Malpractice, Premises, and Products Liability as published by the State Bar of Texas. He is a member of the College of the State Bar, and he maintains memberships in the Texas Association of Defense Counsel, the Defense Research Institute, and the American Bar Association. He serves on the Commercial Transportation Litigation Committee of the American Bar Association. Michael was appointed by Senator John Cornyn and Senator Ted Cruz to the Federal Judicial Selection Committee. This committee interviews applicants for appointments to the United States Fifth Circuit Court of Appeals, U.S. District Courts throughout Texas, and United States Attorneys in each of the four districts in Texas. He was appointed previously to this committee by Senator Kay Bailey Hutchison. He also chaired the Federal Magistrate Selection Committee for the federal courts in the Eastern District of Texas. For four consecutive terms, he represented Jefferson, Galveston, Chambers, Liberty, Montgomery (The Woodlands), and Northeast Harris (Houston) Counties on the State Republican Executive Committee. Michael serves currently as the President of the Eastern District Bar Association. He is the former President of the Michelle Mehaffy Inn of Court, and he is a recent President of the Jefferson County Bar Association. Michael also served as the President of the Jefferson County Young Lawyers Association, and he was a member of the Alumni Advisory Council to the Southern Methodist University School of Law. He is a former Chair of the Local Bar Services Committee of the State Bar of Texas, and he served on the Law Focused Education Committee of the Texas Young Lawyers Association. Michael is widely recognized for his leadership and involvement in civic, cultural, and religious organizations in Southeast Texas. Michael has been placed on the list of Energy Law Arbitrators for the Institute for Energy Law of the Center for American and International Law, the Advisory Board of the Institute for Transnational Arbitration, and has become a member of the Houston International Arbitration Club and the Houston Bar Association ADR Section. He is also listed as an arbitrator and mediator by the International Chamber of Commerce (ICC). Michael is Board Certified in Personal Injury Trial Law by the Texas Board of Legal Specialization, has the Martindale-Hubbell A/V Preeminent peer review rating, and is listed consistently as a “Super Lawyer” in Texas Monthly. He was honored by Super Lawyers, Corporate Counsel Edition for being a “Super Lawyer in Civil Litigation Defense.” Michael is a Fellow of the Litigation Counsel of America, a trial lawyer honorary society and is a Fellow of the Texas Bar Foundation. Prior to becoming an attorney, Michael earned a MBA in finance and worked as a financial analyst for the Mercantile National Bank of Dallas—the fifth largest bank in Texas at that time. Based upon his background in finance and law, Governor Rick Perry appointed Michael to serve as a Regent for the Texas State University System. Michael received his law degree from Southern Methodist University School of Law in 1985, where he was the President of the Student Bar Association and a Moot Court instructor. He was graduated with high honors from Lamar University in 1978 with a degree in economics, where he was elected to Phi Kappa Phi. He earned a master’s degree in Business Administration in Banking and Finance from the University of North Texas in 1980.